Women POW's in the Civil War? A surprising number of women dressed as men and went to war in 1860’s. It’s not known exactly how many, but there is documentation, by means of hospital records, diaries, and prison records, that women fought beside their male counter parts in one way or another . . . perhaps in the hundreds. 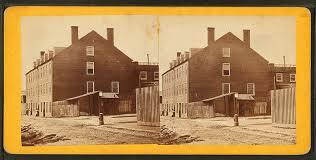 The Civil War era prison, Castle Thunder, was located in Richmond Virginia. It was, like most other prisons of this time period, filthy, disease ridden, overcrowded, and lacked in food and medical care. Over the course of the war, Castle Thunder imprisoned over one hundred women, and had one area specifically for female inmates—calling them “deprived and abandoned” women. Some inmates were prostitutes, but most where smugglers, spies and political prisoners. 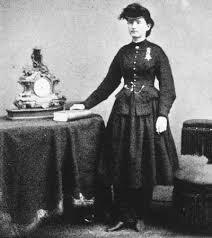 The most famous prisoner of war was Doctor Mary Edwards. 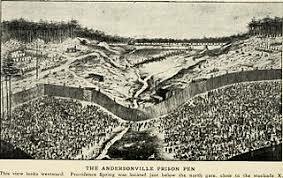 Andersonville Prison in Georgia is famous for its brutal living conditions. Here are the abbreviated stories of three known women prisoners who were imprisoned in Andersonville. One soldier, who was not discovered to be a woman until after her death, is buried in a grave marked with “Unknown”. I can’t help but wonder who this woman was. Did her family know she fought in the war? Was she missed? The second, Florena Budwin, (it’s unknown if this is her real name) decided she didn’t want her husband to go to war alone. So, she dressed as a man and enlisted. It is believed that Florena’s husband was killed in battle, though there is speculation that he died in Andersonville by the hand of the guards. 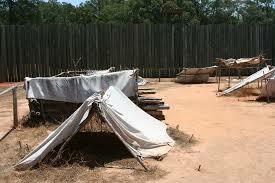 Regardless, Florena was captured and sent to Andersonville. She kept her identity hidden during her stay. It’s unknown why she decided to remain in disguise, had she told the truth she would’ve probably been released. 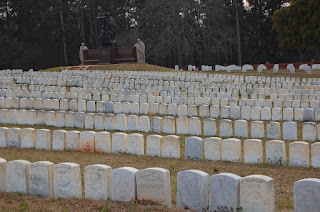 Florena died after being transferred to Florence Stockade in Florence, SC. She was only twenty years old. 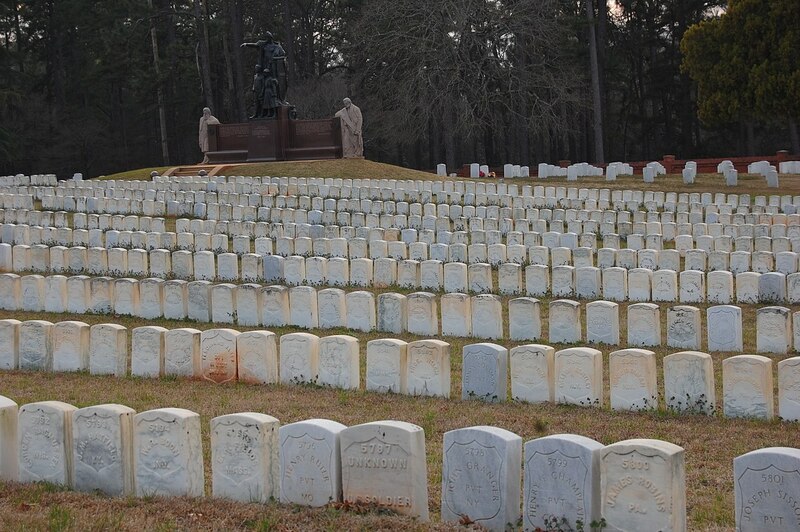 arrival to Andersonville, Janie was four months pregnant. After giving birth to a baby boy in the couple’s tent, the prison doctor heard the cry of the baby and the family was discovered. The doctor took pity on the young Hunt family and arranged for Janie and her son to stay at a local farmer’s home close to the prison. The doctor also made Captain Hunt his assistant and therefore kept him safe through the war. These stories just touch the surface of women who served time in Civil War prisons. Some had happy ending, some ended very tragically. What do think? Do you admire what these women did? Were their actions acts of bravery or foolishness? Please, leave your comments below. Please note: All the above photos were obtained from WikiCommons and are free to use. The women were certainly ahead of their time, but there have been brave and bold women in every era. There sure have been brave women in every era, Connie. I agree! Their stories amaze me. Thank you for the comment. Thanks for this interesting post, Michele. 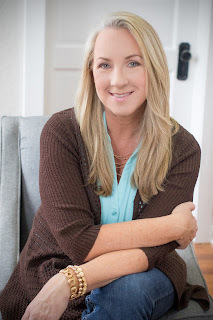 I've read novels about women going to war, but I'm not sure I realized that actually happened. Brave women, they were. I agree, with you, Vickie. They were extremely courageous. These women not only face the battlefield but did it under the distress of their identity being discovered. Thank you for the compliment and the comment. The brave, courageous and faithful women that has served during difficult times are to be commended. Great post and informative. Thank you. I couldn't agree with you more, Marilyn. In a time when women were taught to be meek and to stay in the background, these women showed amazing courage. Thank you for your kind comment.